Entity removal is a safe removal of intrusive spirit or intrusive energy which invaded the soul of the person and integrated within causing emotional or physical pain or illness. Only a small participation is needed from the client. Entities can be neutrally defined as fragments of the emotional mental body, containing records of thoughts and emotions that stayed with the physical body, until the cremation in fire has taken place in the case of a peaceful death. In the case of violent death or sudden unexpected death, there can be a full psychonoetic body equipped with an adequate amount of etheric substance, and as such constitutes what people often call ‘a ghost’. Other forms of entities can be earth bound spirits or elementals. Some intrusions inside the body can be of demonic nature, however this is not common. Entities cannot, in normal circumstances, get inside the energetic body of the human being. 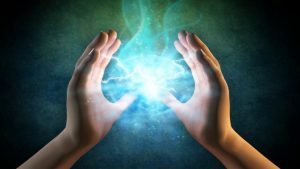 This is because the energy body has its own natural defense system, which works in a similar way to the immune system protecting us from intrusive energies or entities. They can get inside us, only by our acceptance! Our ”invitation in”, is often obtained by trickery or by our defense system of the aura being shut down. In such a situation – the defense system of the aura being shut down – requires a strong shock, strong trauma, strong pain, emotional breakdown, giving birth, accidents, violence, violent, verbal or emotional abuse or sexual abuse. The sexual act always opens the energy field and allows the flow of energies between the people involved. A condom does not help with this! Many of medical conditions and addictions are caused by the foreign entities without any possible conscious knowledge of the person suffering from the effect of the entity. Entity Removal is very safe for the client. It is a completely hands off healing method and is often used after a soul retrieval or is sometimes combined with a soul retrieval. This is because the intrusive entity invades the energetic body of the person when the hole in the soul is made by a soul loss.